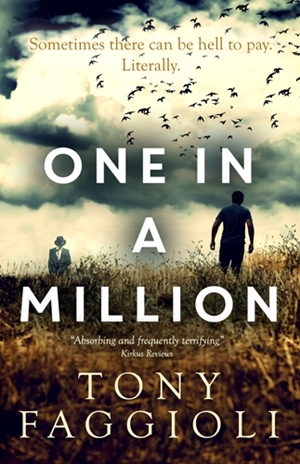 Featured Indie Book on Indie Author News: Horror Thriller One In A Million by Tony Faggioli. One In A Million is an entertaining but sobering look at a very serious subject: the daily battle between good and evil, in our hearts and in our world. The Book has been self-published via Atticus Creative and is available as eBook and Paperback - 374 pages - released in September 2016. Kyle Fasano has it all: a good job, a loving wife, two beautiful children, and a house on the hill. Still, it’s not enough. Risking it all, he has a fling with a woman from the office. He knows better, but she offers a simple temptation. Unfortunately, Kyle is about to discover that his lover is not at all what she seems, and that with every choice, there are consequences. Tony Faggioli was born in Pittsburgh, Pennsylvania, and raised in Los Angeles. He graduated from the University of Southern California and is a happily married father of two kids, two dogs and a pretty awesome goldfish. 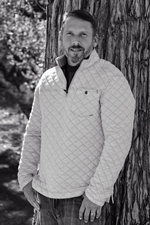 He is a supernatural and paranormal author of four books: The Millionth Trilogy (One In A Million, A Million to One and One Plus One) and The Snow Globe (Coming Spring, 2017).